October is a great time to get your house ready for winter. You know the drill — have your furnace checked, caulk up those drafty holes, clear out those gutters. But with heating bills sure to rise, it may also be time for an energy audit. In the Quad Cities, Mid-America supplies both gas and electric energy to most homes, but they also offer this service, called EnergyAdvantage Home Check. You do need to make an appointment, but they will come to your home and offer energy-saving suggestions. At my house, the person doing the energy audit not only gave us new lightbulbs and low-flow showerheads, he actually took the time to install them! I don’t know if this is standard service or not, but I was very impressed with this service. 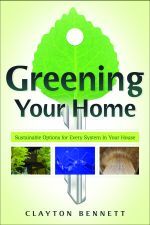 Greening Your Home: Sustainable Options for Every System in Your House by Clayton Bennett. 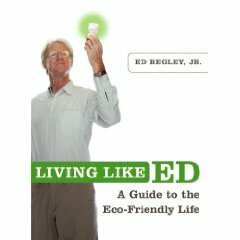 This slim paperback is loaded with ideas for changing your lifestyle, as well as for using new technology (such as low-flow faucets) to save time, energy and money. 50 Simple Steps to Save the Earth from Global Warming is another easy-read paperback with very practical tips. For example, Step #8 – Unplug your chargers. Did you know that 95% of the energy used by mobile phone chargers is wasted? I didn’t.